The novel, A Measure of Mercy by Lauraine Snelling follows Astrid Bjorklund, a studious, serious young woman studying medicine in the small town of Blessing, North Dakota. Under the tutelage of her sister-in-law, a medical doctor, Astrid is learning the art of medicine, and specifically, surgery. Her sister-in-law sees Astrid's potential and encourages her to peruse a medical career by getting formal education at a medical school in Chicago. Although Astrid is excited to begin a career, she is hesitant to leave her tight-knit community. When a former Blessing landowner comes to, once again, set down roots in town, Astrid's world gets even more complicated. Joshua Landsverk is a young and handsome man who wants to settle down in the town he has always known was his home. With his return to town come a return of his feelings for Astrid and Joshua seeks to court her to win her love. But when a missionary comes to town and preaches at the local church, everything is turned upside-down for Astrid. Is she called to missions in Africa? 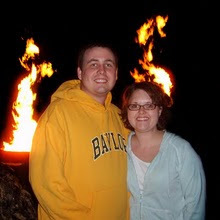 Should she go to medical school to become a missionary doctor or come back to Blessing to join her sister-in-law in her medical practice (and Joshua)? While Astrid is away at medical school she and Joshua agree to correspond, but Astrid's correspondence seems to be one-way, she only receives one letter from him. The lack of response from Joshua leads Astrid to believe he doesn't care. This precipitates her difficult decision to not return to Blessing, but rather go to Georgia and begin missionary schooling before a two-year term in Africa. The novel concludes as Astrid boards a train bound for Georgia. I truly enjoyed this story. It was well written and engaging and had "oomph" that is sometimes lacking in Christian romance novels. There was a depth of character development that is often overlooked by other writers. I also appreciated the addition of a family tree to the beginning of the book - this really helps with understanding the family, although with Snelling's clear writing you do not need it. 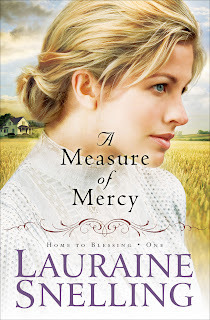 If you are a fan of Lauraine Snelling or other authors of Christian historical fiction, I highly recommend picking up a copy of A Measure of Mercy. It is the first in the Home to Blessing series. sounds like a lovely book. Thanks for the review. I think I shall keep my eye out for it.